Mother Nature has produced some remarkable scenery, and on this National Parks tour, you’ll have the opportunity to experience some of nature’s finest. This tour focuses on the West’s great national and state parks, including Grand Canyon National Park, Arches National Park, Mount Rushmore, Custer State Park, Yellowstone National Park, Grand Teton National Park, Bryce Canyon National Park, and Zion National Park. From spectacular rock formations and deep canyons to sparkling waterfalls, geysers, and lakes, you’ll see a wide variety of breathtaking natural wonders. In addition to the scenery offered throughout this National Parks tour, trip highlights include a 2-night stay at the Historic State Game Lodge in Custer State Park, which served as the “Summer White House” for President Calvin Coolidge; a visit to Crazy Horse Memorial; 2 nights inside Yellowstone National Park; an overnight stay in Grand Canyon National Park, offering a rare opportunity for great views; an opportunity for star gazing in Bryce Canyon National Park, one of the best places to see stars due to its remote location and lack of light pollution; a visit to Devil's Tower National Monument, an amazing geologic feature protruding out of the prairie and considered sacred to the local tribes; and more. Globus has also included some wonderful special experiences. Enjoy a 4-wheel-drive tour of Monument Valley with a knowledgeable Navajo guide and a Navajo cookout. Partake in a lunch and wine tasting in Colorado’s wine country and enjoy a buffalo safari in Custer State Park. On this vacation exploring America’s great parks, sit back, relax, and let Globus handle all the details and driving, so your only concern is taking in the majesty of the scenery and having fun. 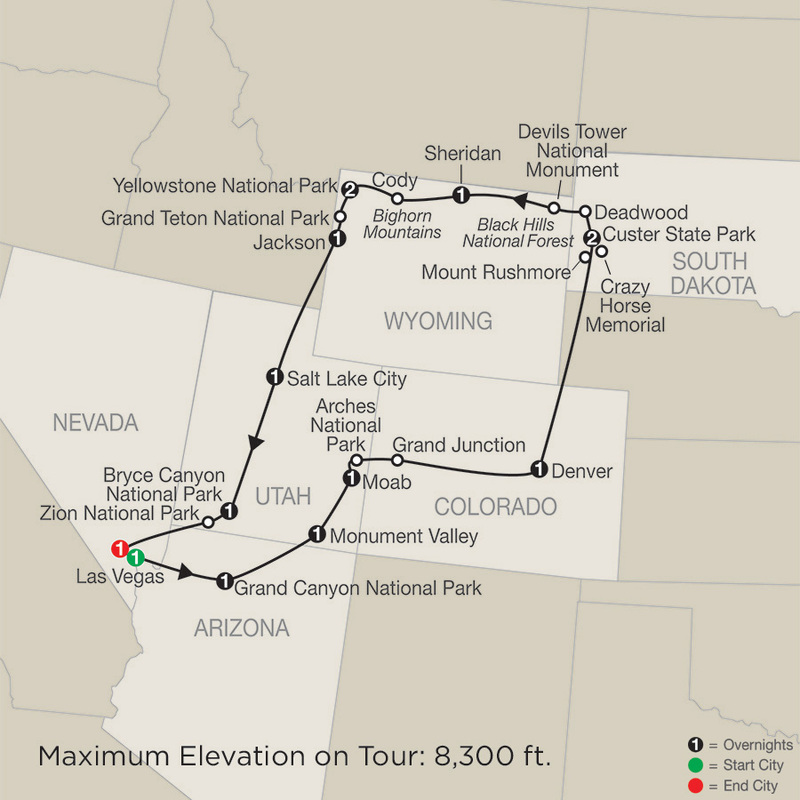 •Maximum elevation on tour: 8,300 ft. Welcome to the “Entertainment Capital of the World!” At 6 pm, meet your fellow traveling companions for a welcome drink. Your Tour Director will prepare you for your upcoming national park adventure. Depart the glittering lights and glamour of Las Vegas for one of the Seven Natural Wonders of the World, GRAND CANYON NATIONAL PARK. Carved through the rocks of the Colorado Plateau over millions of years, the canyon is more than a mile deep and 10 miles wide, revealing billions of years of geological history. Tonight, savor a sunset in one of the most beautiful places in the world. SPECIAL FEATURE: Your hotel is located inside Grand Canyon National Park, a rare opportunity for great views and a significant extra when traveling with Globus. This morning, you may want to join an exciting helicopter flight over the canyon or enjoy a hike on one of the many trails. We then travel north through Arizona and into the Navajo Nation. Tonight will be spent at historic Goulding’s Lodge, where you will be treated to a NAVAJO COOKOUT and learn about the local Dineh (people) who call this land home. This morning, explore the incredible landscape of ARCHES NATIONAL PARK. The park contains more than 2,000 natural sandstone arches and formations, including Balanced Rock, Park Avenue, and Delicate Arch. Stop in Colorado’s wine country, where you’ll enjoy lunch and a WINE TASTING. We then journey east across the Rocky Mountains to the “Mile High City” of Denver. This evening, why not stroll the city’s pedestrian 16th Street Mall and take advantage of the shopping, dining, and entertainment? Today, travel across the windswept landscape of Wyoming and into the Black Hills of South Dakota. Spend the next two nights in beautiful CUSTER STATE PARK. Formed in 1897, the park is the second-largest state park in America. Its 73,000 breathtaking acres are home to a variety of wildlife, including bison, pronghorn antelope, mountain goats, whitetail deer, bighorn sheep, mountain lions, wild burros, and elk. SPECIAL FEATURE: Stay at the historic State Game Lodge, which served as the “Summer White House” for President Calvin Coolidge. Relax with a cool drink on the front porch and let Mother Nature entertain you. This morning, visit MOUNT RUSHMORE NATIONAL MEMORIAL, which stands as a shrine of democracy. The epic sculpture depicts the faces of four exalted American presidents who symbolize this nation’s rich history, rugged determination, and lasting achievement. Then, visit the CRAZY HORSE MEMORIAL, built in honor of the fearless Sioux Indian chief, whose fame is derived from the Battle of Little Bighorn. Learn about the sculpture, his family, and the future of the project. Later, return to Custer State Park and be a part of an exciting BUFFALO SAFARI. Have your cameras ready for great photo opportunities. Then, enjoy an old-fashioned CHUCKWAGON COOKOUT, complete with Western entertainment. Start today by exploring the Wild West town of DEADWOOD. Take a journey through time as you travel down cobblestone streets and hear stories of all the legendary characters that contributed to the town’s history, such as Wild Bill Hickok, Calamity Jane, and Potato Creek Johnny. Next stop is DEVILS TOWER NATIONAL MONUMENT, established as America’s first national monument by Teddy Roosevelt in 1906. The spectacular rock formation and the surrounding countryside are home to a myriad of plant and animal life, and Native Americans consider the area a place for renewal. This morning, we stop in Buffalo Bill’s Western town of Cody. Visit the BUFFALO BILL CENTER OF THE WEST, which celebrates the spirit of the American West by sharing stories of the Western experience. Learn about natural history, Native culture, art, firearms, and Buffalo Bill’s Wild West Show. We then travel to YELLOWSTONE NATIONAL PARK, established in 1872 as the world’s first national park. SPECIAL FEATURE: Enjoy two nights inside Yellowstone National Park. 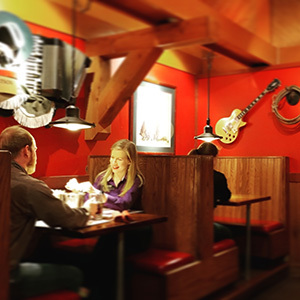 Each lodge has its own unique setting and atmosphere. Lodges featured are the Old Faithful Inn, Lake Yellowstone Hotel, Grant Village, Old Faithful Snow Lodge, and Canyon Lodge. Specific lodges will be confirmed in your documents. Spend the day exploring all the wonders of Yellowstone. See world-famous Old Faithful Geyser, the Grand Canyon of Yellowstone, and Fountain Paint Pot. Be on the lookout for some of the park’s wildlife that can include moose, bison, elk, deer, bighorn sheep, wolves, bear, fox, coyote, and beaver. Journey south today and visit GRAND TETON NATIONAL PARK. The park’s world-renowned scenery attracts more than 4 million visitors per year. See beautiful glacier-fed Jenny Lake and stroll along the shore before continuing to Jackson. This evening, why not visit the Antler Arches, enjoy a drink at one of the swinging-door saloons, or shop for the perfect cowboy hat? Continue your journey south today through Wyoming and into Utah. Arrive in Salt Lake City, founded by Mormon pioneer Brigham Young in 1847. More recently, the city played host to the 2002 Olympics and now offers a vibrant downtown with a variety of stores, attractions, and restaurants. Enjoy an orientation tour before arriving at your hotel. Today’s highlight is a visit to unique BRYCE CANYON NATIONAL PARK. Here, you’ll discover a breathtaking landscape full of pinnacles of stone and colors that defy the imagination. This evening, why not do some stargazing? Bryce is one of the best places to view stars because of its remote location and lack of pollution. On some nights, more than 7,500 stars are visible. This morning, visit ZION NATIONAL PARK with its dramatic landscape of canyons and soaring cliffs. Enjoy free time to hike taking in views of fantastic rock structures, the Virgin River, and unbelievable scenic beauty. We then return to Las Vegas and overnight in the heart of the famous Las Vegas “Strip.” This evening, your Tour Director hosts a special farewell dinner. 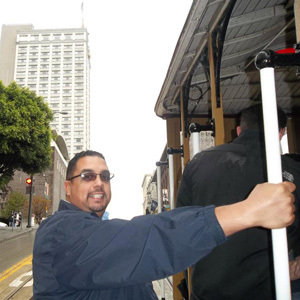 Your tour ends this morning with guests departing on independent schedules. 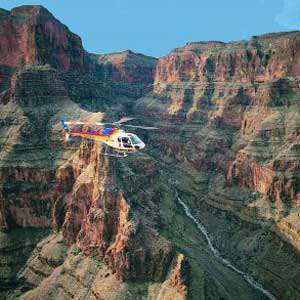 There may be no better way to uncover the sheer splendor of the incredible Grand Canyon than from the air! Choose from two helicopter tours with awe-inspiring views, a once in a lifetime opportunity! Start the evening with a visit to the Temple Square garden followed by dinner at a local Steakhouse.